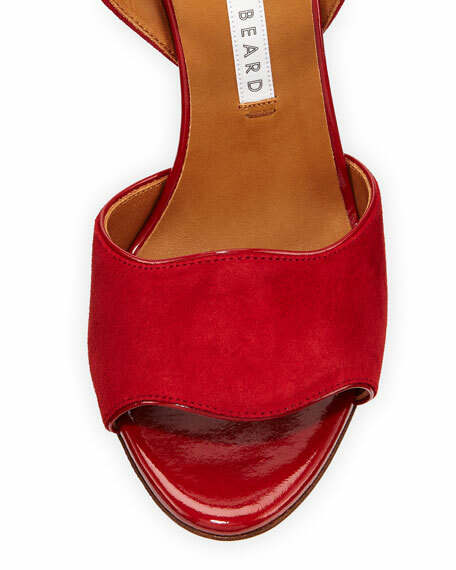 Veronica Beard sandals in mixed suede and patent leather. Scalloped strap bands open toe. "Suma" is made in Italy. For in-store inquiries, use sku #2636806.